Over the past decade, fuel treatments using mechanical mastication have become increasingly common. 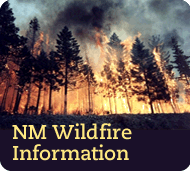 Mastication provides a means to treat fuels that are otherwise difficult to treat with prescribed fire. However, a number of questions have arisen regarding the effectiveness and impact of the treatments. We spoke with land managers across the Southwest who have implemented mastication treatments and observed their performance and effects. Some of their insights are presented here along with summaries of research conducted on mastication treatments. To read the accompanying article with more detail, click here! *If you don't have access to youtube, click here. To view our other Lessons Learned Stories, see our website. This video describes mastication fuel treatments in the Southwest. It covers treatment effectiveness during recent large wildfires and also describes the benefits and potential drawbacks of mastication fuel treatments.